Laxa in Dolum - end of season report. We enjoyed another good year on this fantastic river. Total catch was over 1200 salmon for 4-6 rods and puts Dolum amongst the best rivers to be found in terms of salmon caught per rod. But it was a strange season, as the salmon arrived very early. As a result, the 4 rods that fished the month of July had unbelievable fishing, catching up to 153 salmon in 3 days! The Dolum is known to be a late summer river, and August is usually the time for figures like that. But not this year, as the main run arrived early, and the usual August runs had already arrived. August still produced a fantastic sport, and so did September when we had heavy rain again. We saw some really good size fish, and large salmon up to 26lbs were caught. 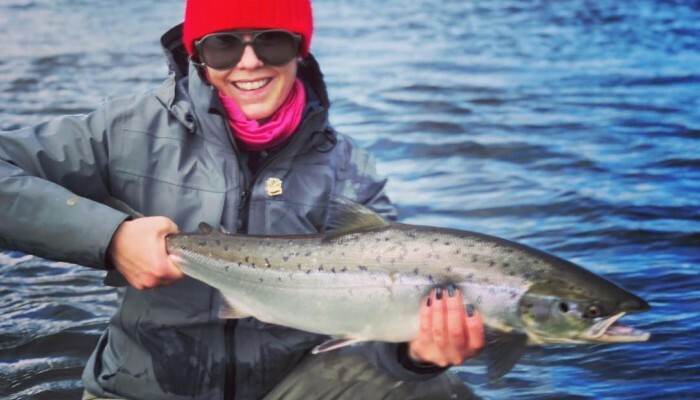 So the saga of this little river on the west coast of Iceland continues, from being an overfished river where most fish were knocked on the head - to be one of the finest fly-fishing rivers to be found worldwide.